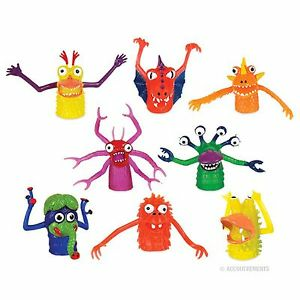 These adult-sized �nger puppets are about 2" (5.1 cm) tall and made of rubber. Their �ailing arms, open mouths and huge, bulging eyes will have you giggling uncontrollably. Eight different styles.